While most of the country is in the middle of their peak riding season, here in Phoenix alot of riders mail it in for the summer months. Some will travel out of state to get their fix, others head north a couple of hours, but alas I'm finding it extremely difficult these days to do either. I still want to ride, so what to do? Improvise and adapt to your surroundings. 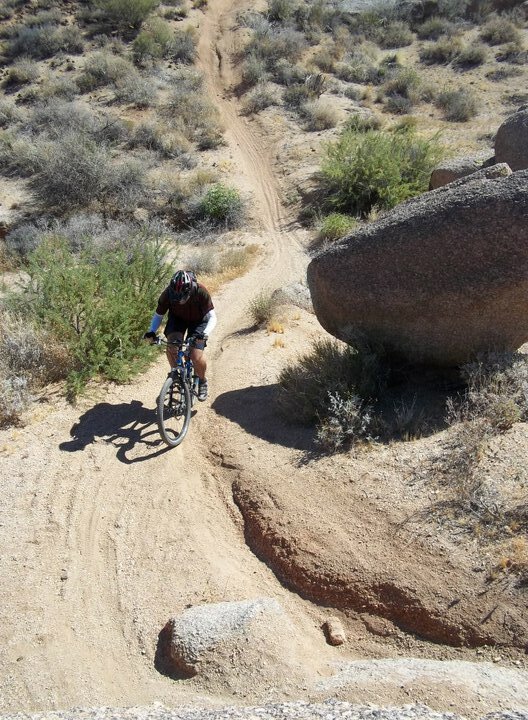 For example I still try and hit the trails about 3 times per week, one evening/night ride, one early riser over the weekend and one during the blast furnace we call the afternoon. 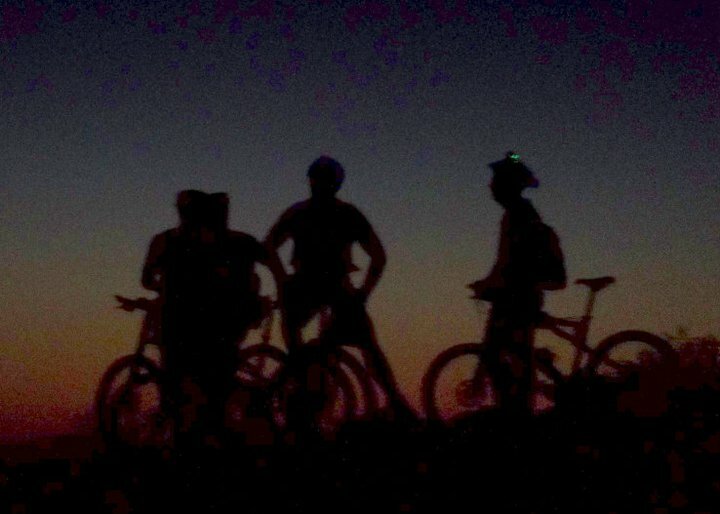 Night rides are great in that there is an entirely different feel to the same route you ride during the day. The senses are acutely aware of your surroundings and cool critters abound! Most people who ride during the summer months opt for the early rise rides, whereas you're up at 4am & to the TH by 5 - 5:30 with an end goal around 9. I on the otherhand also enjoy the heat of the day rides as well. For one thing the trails are empty, so solitude can be had on the most popular of urban destinations. The key is to use your noggin about it, obviously bring plenty of water. I fill my Camelback to the top with ice before heading out after work, which happens to be 3pm. Start drinking well before you head out. Pace yourself on the ride, I don't necessarily attempt the toughest climbs or if my route has some, I may just walk up sections & save some energy. Take advantage of the few shade offerings on the trail. I recently picked up a pair of Pearl Izumi Sun Sleeves for the summer - WOW! What a difference maker, think evaporative cooler effect. I may douse a bandana with water & cover the back of my neck. Plus, a few other basics: sunblock, sweatband, separate bottle with sports type drink and of course a bail out option if needed. I will also put a few drinks in a cooler on ice waiting for me back at the car, perhaps even a frosty one if the ride was deemed worthy!! 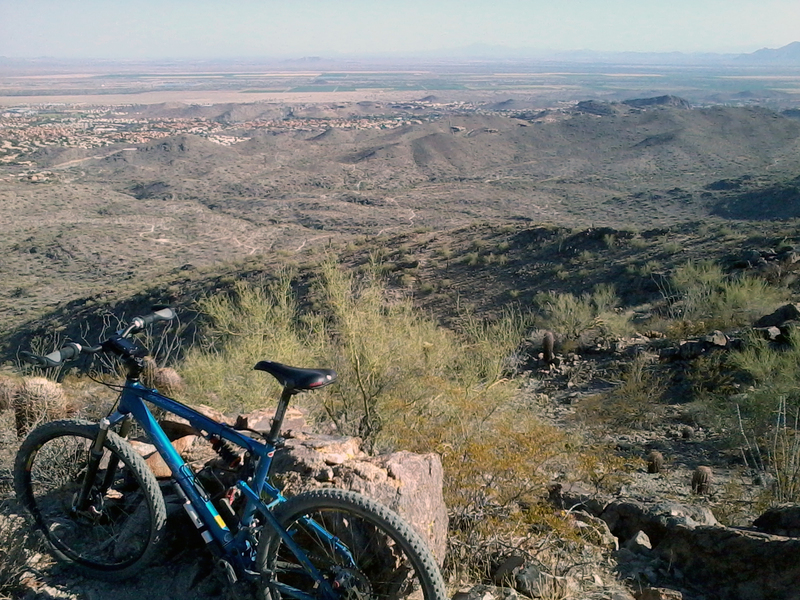 For me, the Phoenix area is pretty tough to beat when it comes to trail selection and riding opportunities. I'm glad that I can enjoy this great sport year round with a great bunch of friends. 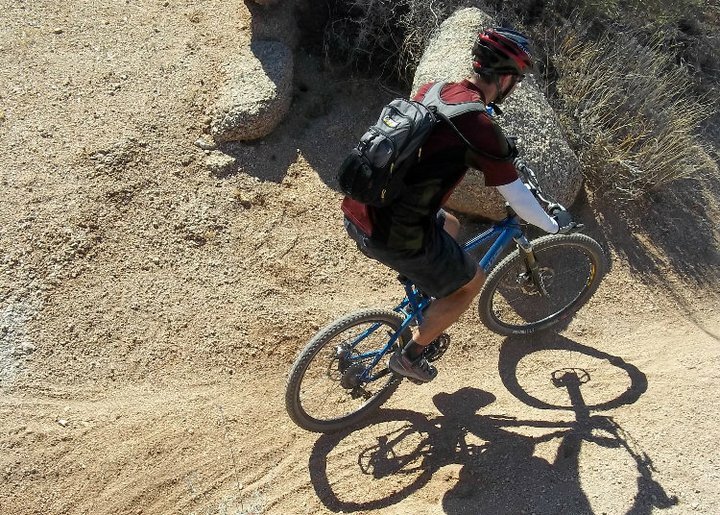 Here's a pic from last weeks ride from the top of the descent down the Corona de Loma trail at South Mountain. This was part of a 16+ mile ride with 2200' of climbing that started at 3pm & 110º. Mushroom Rock made a great spot for lunch - shady! Look! There is some 'chunk' at P&D!! 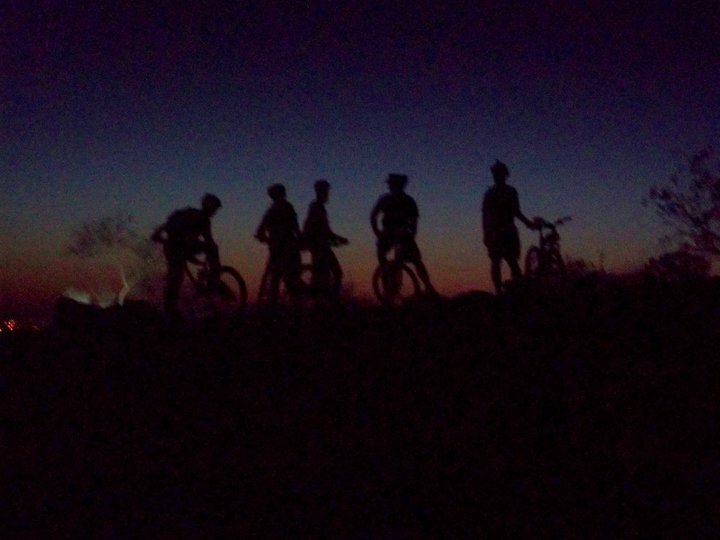 With summer finally beginning to bear its brunt on Phoenix we decided to start up a weekly night riding schedule. 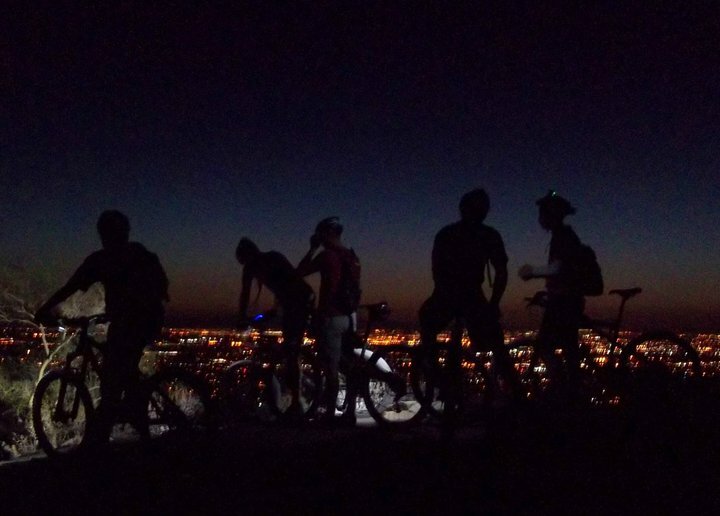 Most rides will be in the east valley on Wed. nights, but that can always change. This past week we ventured over to South Mountain (SoMo) to hit up the main attraction: up the Mormon Loop then up National to the base of the waterfall & return back down National. I'd like to thank Phil for the photos as my point -n-shoot is garbage at night. 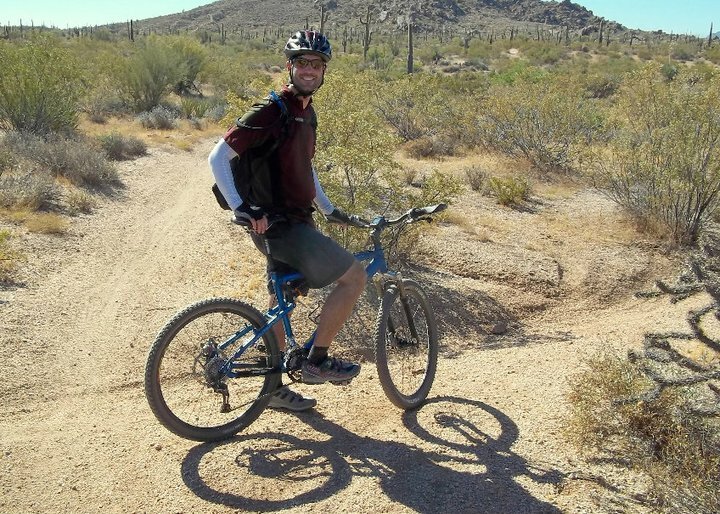 A few of us met up last week to do some exploring on the Pima/Dynamite trail system. It was new terrain for the others and a long overdue (about 12 years) return for me. We were planning on following a course that was set up for a fund raiser a few months ago, but I jumped the gun on our first turnoff and from there we just improvised our ride. The area is really a fun place to just get out and ride. No huge climbs, nothing too techy, just twists, turns and whoop-de-doos everywhere! Bees Knees, why yes it is!